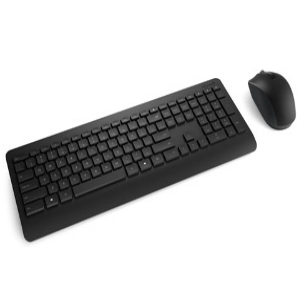 Upgrade your laptop or desktop computer experience with this wireless keyboard and mouse set that packs an abundance of convenient features into modern design. The keyboard’s soft-touch palm rest and quiet keys lend an elegantly professional look and feel that you’ll enjoy day after day. 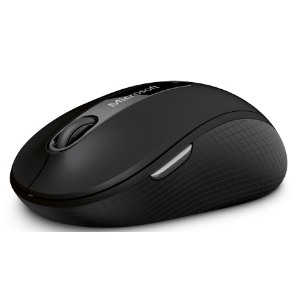 And, the keyboard has function to match its form—enjoy the convenience of media playback controls, one-touch zoom, and customisable keyboard shortcut keys that access programs in the Windows Taskbar. 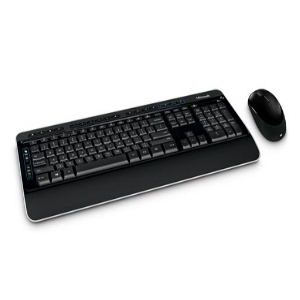 This keyboard also features Advanced Encryption Standard (AES*) technology, which is designed to help protect your information by encrypting your keystrokes. 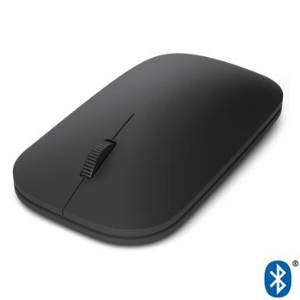 Microsoft BlueTrack Technology in the mouse gives you precise control on virtually any surface, while the rubber side grips and slightly longer mouse body provide an amazingly comfortable feel1. Plus, you can wander up to 30 feet away from your PC and maintain a dependable wireless connection.